The Young Adult Ministry at St. Mary Church aims to organize activities which minister to the young adults of our community, those aged 18 - 40. Contact us at youngadults@stmaryorthodoxchurch.org to join our mailing list and learn about the many great ways to get involved. 2019 Events - Save the Date! If you'd like to get involved or know of other great events, don't hesitate to get in touch with us at youngadults@stmaryorthodoxchurch.org! We hope to see you soon! Let us know! 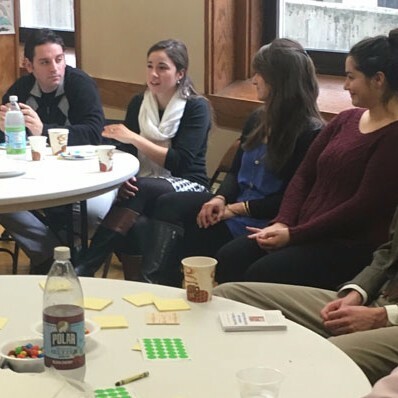 St. Mary's Young Adult Ministry has been chosen as one of 14 parishes around the country to participate in the Telos Project, a 5 year study of Young Adult Ministry in Orthodox Parishes in the United States. Over the coming weeks, we'll be conducting research about our parish and our young adults. If you'd like to learn more or get involved, email youngadults@stmaryorthodoxchurch.org. Get Involved in the Young Adult Ministry at St. Mary's! Share your ideas, time, and talent with us! Here are some ways to get involved: Event Planning, Communications, Marketing, Ecumenical Relations, Leadership, Becoming a Steward of our Parish, Greeting Committee, and more!